Tzipi Hotovely tells President Rivlin to pardon convicted IDF soldier, says his case is unique and public supports pardon. Deputy Foreign Minister Tzipi Hotovely (Likud) on Wednesday wrote a letter to Israeli President Reuven Rivlin asking him to pardon convicted IDF soldier Elor Azariya. 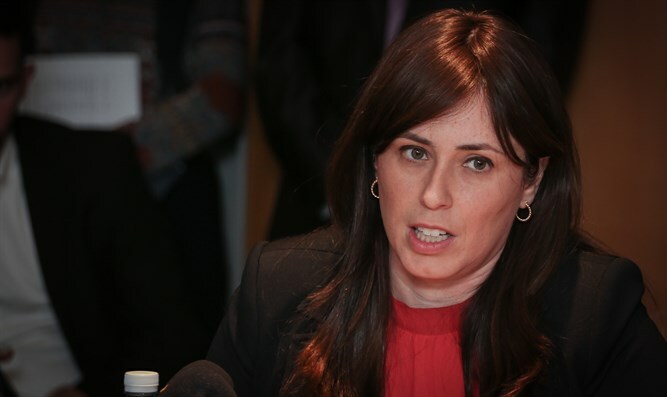 In her letter, Hotovely noted a possible precedent for pardoning Azariya, and said the case deserved Rivlin's intervention. "We need to ensure the nation's unity and their belief in IDF soldiers," Hotovely wrote. "There is no question we need to ensure proper firing protocols, but Elor Azariya's case is unique. He is a young soldier who ended up at the scene of a terror attack during a cruel terror wave. Both the right and the left agree he should be pardoned." Other ministers and MKs also expressed their support for the pardon. Interior Minister Aryeh Deri (Shas) told Radio Moreshet, "There are cases in which we need to use logic. Azariya needs to be pardoned. "The family has gone through hell, and we need to take the trial off their heads. They got the message. Everyone got the message. The IDF has firing protocols and will not allow anyone to ignore them. "I want the Azariya family, and the soldier who has done his work well and paid such a heavy price, to be immediately pardoned. There is no reason for him to sit in jail even one day. He has already been imprisoned, and for him, this entire period has been one huge jail."